Yes, it's coming! Just wait until Silva got all his ribs recovered, and UFC fans can have the rematch they've been waiting for. Mark the date because it's coming this New Year's eve or the next Super Bowl weekend. Just wait and see. LA Times’ Lance Pugmire posted on his Twitter today that a middleweight title rematch between Anderson Silva and Chael Sonnen is slated for this coming winter. The rematch will take place either the next New Year’s Eve or Super Bowl weekend card, depending on Silva’s recovery from an injured rib. 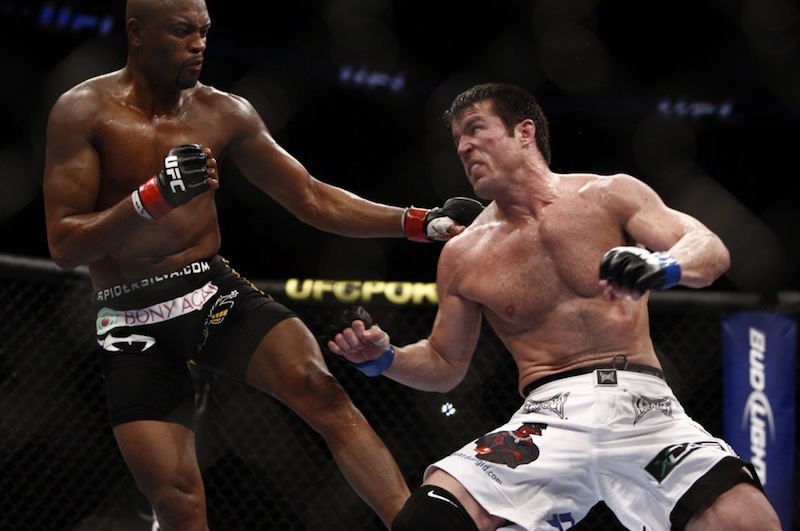 Compare to other immediate UFC title rematch, Silva and Sonnen’s first meeting didn’t end up with a judges’ decision. Rather, Silva beats his opponent with a triangle-armbar, two minutes before the final bell. But no matter who got the next shot for the title, it still seems that Sonnen is a big threat for Silva. And definitely, the big chunk in the throat deserves another shot. Can Sonnen got something new from his previous fight, or will Silva run straight to him this time? How does a title rematch sounds for you?